The Bolthole • View topic - Restriction for certain threads. Is it possible to restrict who can view certain threads on this forum? 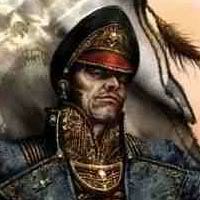 If it's possible, i like to make it so for the group story me and Commander Shadow is involved in, mainly the Imperial Guard vs Tyranid story? Re: Restriction for certain threads. No it's not. However with some tweaking a very easy way of making subforums for groups could be made. It's very easy and doesn't even need passwords. Phalanx wrote: No it's not. However with some tweaking a very easy way of making subforums for groups could be made. It's very easy and doesn't even need passwords. How do i make a subforum? You don't. You ask a moderator to setup a subforum and group for the subforum, then they drop you and whoever else into it. It's pretty simple, but at the end of the day, it's under the jurisdiction of Pyro and her moderator team. Or you could just e-mail each other.